1. Concise: it is simply shaped and has solid color, these are turn to leave a pure and comfortable impression on everybody. 2. 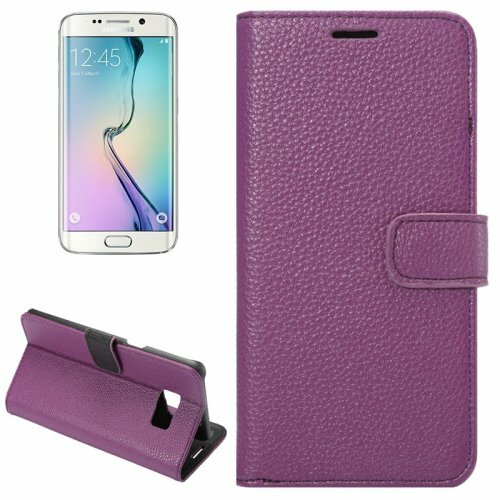 Functional: the leather case can fit your phone well and make a big difference on protecting your Samsung Galaxy S6 Edge Plus from scratch,shock,slip and so on. 4. Portable: it is unnecessary for you to take it off once your Samsung Galaxy S6 Edge Plus puts it on because it is quite thin and light. 7. Fashionable: owing to the artful design,such as the litchi texture, holder and card slot design,the case is very stylish and popular. ed Shipping, please, refer to our shipping policies for delay.